I had every intention of making Valentine's Day cards well in advance... but none-the-less there I was with 15 minutes to spare before taking my daughter to school for her Valentine card exchange. With the help of self sticking craft foam and a few stickers, I had these sturdy little Valentines made, signed and attached to Twizzlers in 10 minutes. 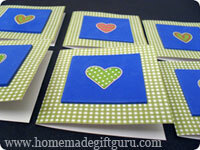 So for those on a time crunch or anyone who never thought they'd have the patience to make Valentines for all the kids at school, here's a simple formula that you can use with your own favorite paper and stickers or the embellishments of your choice. 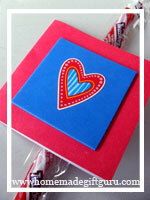 These homemade Valentines are an easy alternative to store-bought Valentines for group Valentine exchanges. The key to these cards is self-stick foam. It adds dimension and frames your embellishment in seconds, giving you a quick card that looks great and feels sturdy... no messy glue either! 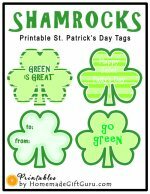 *Note: Instead of stickers you can use other embellishments like flat charms, craft flowers, punched paper shapes or you can use Valentine themed stamps (see slide show above right). Step 1. Cut. Cut one 12 x 12 inch paper into six 3 x 6 inch strips. Step 2. Cut. Cut a piece of self-stick craft foam into 6 2 x 2 inch squares. Step 3. Fold. Fold each strip of paper in half. Step 4. Stick. 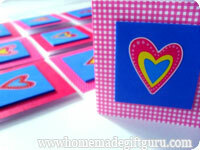 Place a sticker on each square of foam... or let your kiddo do the sticking! Step 5. Stick. 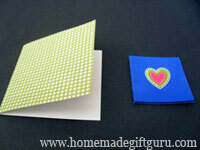 Peal off the backing on each square of foam and stick to the front center of each card... another step your kiddo can do. Note: The sticky back foam helps this Valentine's Day project go quickly, but you can glue your own foam down with the glue of your choice (glue runner or double sided tape would also be quick and easy). 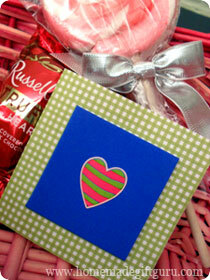 Write "Happy Valentine's Day!" inside or the greeting of your choice. 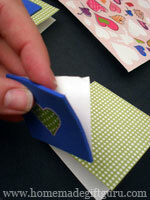 Or... you can use a stamp or another sticker inside. Done! 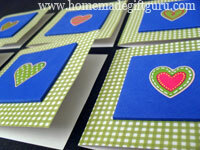 Now you have several cute little Valentine cards for your child to give to friends at school or for any group Valentine exchange! 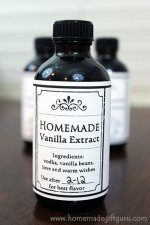 Try individually wrapped homemade play dough (or small store-bought cans work too, Amazon has some below). Go to a party supply store (or Dollar store, craft store etc.) 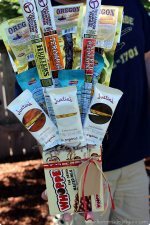 and find a package of party favors such as kazoo, bubbles, sticky hands, spiral straws (more ideas below). 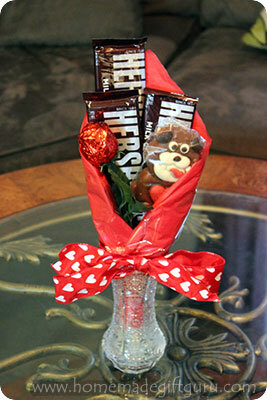 Tape a fresh or silk flower to the back. 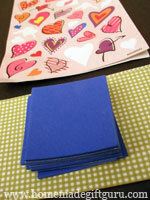 Buy a package of foam Valentine's Day stickers and make little baggies of foam stickers. 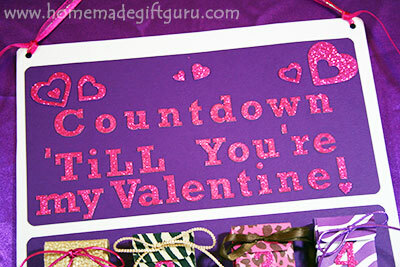 DIY Valentine Countdown Gift Idea!